I will never forget discovering nettles for the first time. Coming from Australia where just about everything can kill you… I thought the British countryside was a safe place where the grass is green, snake-free and perfect for barefoot strolls. That was until I stood on a patch a fresh young nettles and honestly thought I had stood on broken glass. I was crying in pain, Nico was crying with laughter. Little did I know that a short time later I’d be using nettles in cooking. Maybe it is my kind of ultimate revenge? After an initial relationship of hate and fear, I am now an avid fan of this plant that grows like a weed around the perimeter of our Dorset home. They can greatly benefit your garden; mixed in a bucket of water it will make a great plant feed, they attract beautiful butterflies and provide a safe harbor for ladybirds. However, most importantly to me anyway… you can eat them! Nettles have a taste that is quite similar to spinach so are great to make a pesto or soup. Like other greens they have great health benefits; they are very high in vitamin C and protein. They can also be used to make my two favorite beverages: tea and wine…just watch this space! In summary, nettles are life. 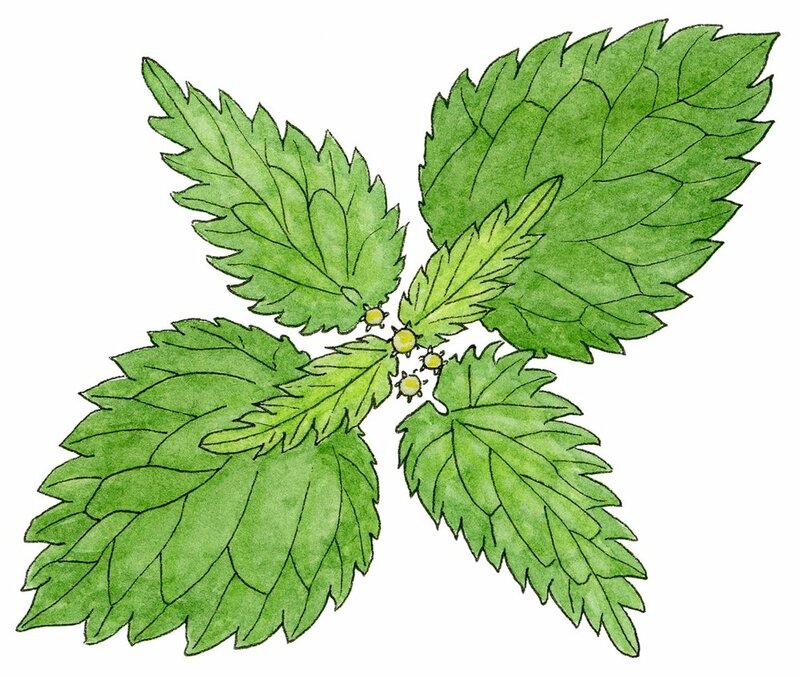 Nettles are best foraged in early spring when the shoots are young and tender. Wearing rubber gloves, pick the newest growth at the top and discard the woody stems. When cooked the nettles reduce down to very little so make sure you pick a good shopping bag-full! Nettles must be cooked to remove that nasty stinging acid. Simply pour very hot water over them until they no longer sting you! 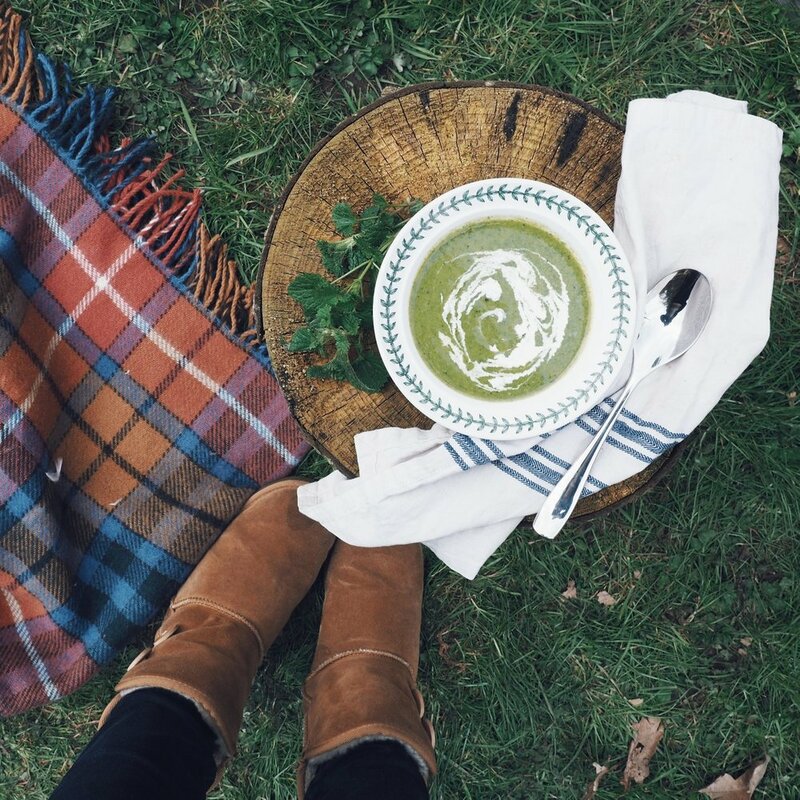 When I’m feeling like I need a healthy boost, nettle soup is my go-to – it’s so cheap and easy to make – just throw in whatever veg you have in the cupboard! 1. Heat the oil in a large saucepan and pour boiling water of the nettles to rinse. Steep the nettles in boiling water for three minutes then drain through a sieve. 2. Add the carrot, potato, onions and leeks to the pan and cook for 5 minutes. 3. Cover and cook for a further 5 minutes. 4. Add the stock to the pan and cook for a further 15 minutes. 5. Add the nettles and blend the soup. Add the butter and cream and heat through. Add salt and pepper to taste. 6. Serve the soup with a swirl of cream, crusty baguette on the side and enjoy!